The '6M Jews, 5M others & gas chambers' are easily debunked, yet very profitable propaganda, and Jews are always looking for ways to prevent criticism of the outrageous behavior, hence the "antisemitism" canard. The childish double talk here is embarrassing. But that's what they must resort to since actual proof of their claims is utterly lacking, which is expected since the claims are simply impossible. I also find it revealing that this article appears just as Jews are engaging in yet another slaughter of protesting Palestinians. 1. So many survivors have provided witness in one form or another. Holocaust survivors Elie Wiesel (“Night”) and Primo Levi (“Survival in Auschwitz”) wrote memoirs, while thousands have recorded oral histories. Filmmakers such as Steven Spielberg (“Schindler’s List”) and Roman Polanski (“The Pianist”) arguably saved their best work for this macabre, intensely personal subject, although they improbably managed to include life-affirming endings. Novelists from William Styron (“Sophie’s Choice”) and Aharon Appelfeld (“Badenheim 1939”), to Markus Zusak (“The Book Thief”) and Art Spiegelman (graphic novel “Maus”) tinkered with the story without laying claim to it. There have been innumerable playwrights, as well. And of course, there was the iconic diary written by Anne Frank, whose precocious, smiling portrait is forever locked in our minds. 2. The Holocaust was always a moral mystery. Unfathomability always has been its greatest allure. The mystery was never meant to be solved. The crimes of the Nazis consigned everyone — Jew and non-Jew — to a perpetual state of obligation. “Never Again” didn’t just mean that Jewish genocide would never be permitted to reoccur. It also meant that the world would never be finished with the Holocaust; it would always continue to haunt. The burden to remember the Holocaust, to hold it in mind and body as both emblem and amulet, is infinite and never ending. 3. Elie Wiesel once told me that the survivors made a catastrophic mistake after the Holocaust. In his opinion, instead of tentatively telling their tales and subjecting their memories to the Shoah and Fortunoff foundations’ oral testimony projects, they should have said nothing. Kept quiet. Driven everyone mad with curiosity. The world would have demanded to know what went on in those camps, killing fields, death marches and forced starvations, and the survivors would have replied with utter silence. Instead the survivors, along with everyone else, said too much, and now there may be nothing left to say. 1. Indeed. And it's the words of Wiesel & Levi which have helped debunk the fake '6M Jews & 5M others & gas chambers'. This forum and Revisionist research in general have made them liabilities, not assets, to the absurdly impossible claims. We also note that the author has revealingly cited works of fiction as somehow proof of the false claims. Yep, that's 'holocaust proof' for ya'. 2. A"mystery" until one looks at the actual claims made and realizes their complete scientific impossibility. Jews and their scam, aka: "The Holocau$t Industry", never counted on rational thought, logic, & science being applied to their fakery. Jews are losing their role as 'gatekeepers' since the internet came to be and are now in in full panic mode .... which is what this article is really about. 3. Indeed, the more the "survivors" talk the worse it becomes for the scam. They contradict each other, they contradict the promoted narrative, they claim actions & events which are laughably impossible and are not supported by proof. A lot below, read on, comments invited. Is There Anything Left To Say About the Holocaust? The most unspeakable crime of the 20th century — or any century, for that matter — actually inspired a lot of people to speak about it. It’s the great paradox of the Holocaust. The mere thought of the genocide of European Jewry both paralyzes and demands action. It summons the silence and the scream. The contradictions are endless but understandable. The Holocaust is ineffable, and yet everyone wants to hear about it. It is unimaginable, and yet that never stopped artists from reimagining it. Either as a duty to the dead or in response to the lurid, voyeuristic fascination it evokes, finding new ways to remember the Holocaust always has been a moral imperative. But in the 73 years since the liberation of Auschwitz, these collective acts of giving voice to its memory make one wonder: With all that speaking about the unspeakable, is there anything left to say, or has everything already been said about the Holocaust? The question is overdue. Holocaust memory has grown a little stale over the past several years and fatigue has set in. The number of Yom HaShoah commemorations has declined around the world. With each passing year they dwindle, not unlike the number of survivors. Perhaps the savagery of the world simply has caught up with the Holocaust in a twisted competition for evil supremacy. We are tragically becoming inured to the atrocious, surrounded by so many contenders. The poisonous gas, Zyklon B, used in Auschwitz and other death camps, now has a successor in Syrian President Bashar Assad’s deployment of sarin and other chemical agents against his own people. Beheadings by butchers known as ISIS — filmed for the viewing pleasure, indoctrination and recruitment of its followers — are so brazenly shocking that even the Nazis would have trembled. After all, the Nazis used Zyklon B so as not to waste bullets on Jews and out of concern that camp guards might lose the nerve to carry out barbaric orders. Poisonous pellets dropped into gas chambers enabled Nazis to avoid much of the dirty work. ISIS, al-Qaida, Boko Haram and Hamas never seem to have such problems. They are naturally good at and highly motivated to draw blood — Jewish, especially. Other mass murders that followed — in Cambodia, Guatemala, Bosnia, Rwanda, Congo and Sudan — along with acts of global terrorism in Bali, Madrid, London, Mumbai, Nice, Paris, Berlin, Boston and, of course, New York during the Sept. 11, 2001, attacks, and mass shootings in American schools and even on a Norwegian island, have undoubtedly caused an emotional distancing from the Holocaust. One would think, however, that the Holocaust’s imprint is so strong, and its moral mystery so incomparable, its flame could never possibly die out. Its impact on Western culture alone serves as an enduring monument to moral failure. So many survivors have provided witness in one form or another. Holocaust survivors Elie Wiesel (“Night”) and Primo Levi (“Survival in Auschwitz”) wrote memoirs, while thousands have recorded oral histories. Filmmakers such as Steven Spielberg (“Schindler’s List”) and Roman Polanski (“The Pianist”) arguably saved their best work for this macabre, intensely personal subject, although they improbably managed to include life-affirming endings. Novelists from William Styron (“Sophie’s Choice”) and Aharon Appelfeld (“Badenheim 1939”), to Markus Zusak (“The Book Thief”) and Art Spiegelman (graphic novel “Maus”) tinkered with the story without laying claim to it. There have been innumerable playwrights, as well. And of course, there was the iconic diary written by Anne Frank, whose precocious, smiling portrait is forever locked in our minds. The only thing that could ever make the Holocaust disappear is the end of anti-Semitism itself. And yet, the Holocaust is being forgotten and exploited. A surging wave of global anti-Semitism has surfaced with the added aim of pummeling and plundering the Holocaust. Who knows what will be left when this new period of anti-Semitic fervor comes to an end? We shouldn’t be that surprised, what with “Mein Kampf” back on sale in Germany. If things pick up, that book and “The Protocols of the Elders of Zion” will become required reading for a new generation of fascist fashionistas. Other events around Europe are more disturbing, if not altogether heinous. France, home to the largest Jewish population in Europe, is fast becoming a home a Jew is forced to flee. A few weeks ago, an elderly Holocaust survivor was savagely stabbed to death, her body then burned when her apartment was set on fire. A year earlier, a 66-year-old French-Jewish woman was thrown from her window to her death. Both incidents have been classified as anti-Semitic hate crimes. Also in France, a 15-year-old girl wearing a Jewish day-school uniform was slashed in the face; an 8-year-old boy wearing a yarmulke was beaten in the streets; and twin teen boys were nearly kidnapped, with one of them having his finger cut off. These are only the recent anti-Semitic incidents in France. Years earlier, a young man, Ilan Halimi, was kidnapped and tortured to death. Three students standing outside of their Jewish day school in Toulouse were murdered in an attack, during which one of the girls had her throat slit. During the Gaza War in 2014 and the subsequent backlash against Israel throughout Europe, 200 Jews were trapped in a French synagogue as a mob gathered outside chanting, “Hamas, Hamas, Jews to the gas!” and “Hitler was right!” Similar scenes with smoke and firebombs, anti-Semitic graffiti, the vandalizing of businesses, rock-throwing teenagers, the burning of the Israeli flag and the spray-painting of swastikas on synagogues, were reported in such cities as Vienna, Berlin, Amsterdam, Rome and London. In Poland, a legislative measure making it a crime to assert that the country was complicit in the Holocaust recently passed both legislative houses and has been signed into law by the Polish president. While 2 out of 3 European Jews were murdered during the Holocaust, the fate of Polish Jewry was far worse — 9 out of 10. And yet, today a jail sentence awaits anyone who defames Poland by calling attention to the fact that its people either assisted the Nazis or cheered them on. The most recent assessment of global anti-Semitism conducted by the Anti-Defamation League (ADL) determined that 35 percent of people have never heard of the Holocaust, even while anti-Semitic incidents throughout Europe are spiking. Other surveys confirm these statistics. Nearly half of Jews in France and 25 percent of Jews in Germany feel imperiled and are considering emigrating from those countries. The United Nations has become its own persecutor of Jews through its hypocritical and ceaseless denunciation of the Jewish state. Israel is held to a shameful double standard of moral perfection that is demanded of no other country, while nothing is asked of Israel’s enemies. Meanwhile, the Holocaust lurks in the background, not as a sanctified event but as a bludgeoning instrument against Israel. Holocaust memory has grown a little stale these past several years and fatigue has set in. The number of Yom HaShoah commemorations has declined around the world. … Perhaps the savagery of the world has simply caught up with the Holocaust in a twisted competition for evil supremacy. The condemnation of Israel usually accompanies some false moral equivalence between the genocide of the Jews and Israel’s treatment of Palestinians. The fact that the Palestinian population has doubled since the Jewish presence in Gaza and the West Bank — an inconvenient mathematical truth that makes associating the Holocaust with the plight of the Palestinians a contradiction in terms — demonstrates the world’s bad faith when it comes to anti-Semitism and the Holocaust. After all, Jews can’t mourn an atrocity or be shown any sympathy if they are repeating it against another people. 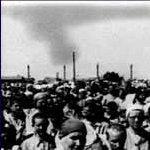 The Holocaust has gone from an object lesson to a secret weapon against Israel and world Jewry. There’s no greater example of this absurdity than the recent United Nations Human Rights Council decision to finally take up the cause of the humanitarian crisis in Syria. And how best to do that? Blame Israel for its continued “occupation” of the Golan Heights. This draft resolution will play well in the cheap seats, where anti-Semitic lunatics hold the Mossad responsible for 9/11 and accuse the Israel Defense Forces of harvesting the organs of Palestinians. President Donald Trump couldn’t bring himself to condemn Klansman David Duke during his campaign. After Charlottesville, he let it be known that there were “some very fine people” among the neo-Nazis, skinheads and Klansmen who gathered there. Meanwhile, a Washington, D.C., city council member recently posted a video in which he blamed the Rothschild family for controlling the climate, causing natural disasters and making it snow in the nation’s capital. Nation of Islam leader Louis Farrakhan, during one of his sermons in March, condemned “satanic Jews” for being “the mother and father of apartheid.” He went on to allege that Jews control the FBI and cause homosexuality within the African-American community through chemically altered marijuana. One of the organizers of the Women’s March, Tamika Mallory, who attended Farrakhan’s sermon, refused to condemn what he had to say about Jews. Why are leaders suddenly having such difficulty repudiating anti-Semites? There was a time, not long ago, when such expressions of solidarity with Jews was both the decent and politically correct thing to do. Even the Feb. 14 mass shooting at Marjory Stoneman Douglas High School in Parkland, Fla., was not spared. The killer expressed anti-Semitic feelings on social media, and then, perhaps unknowingly but symbolic of something nonetheless, he fired shots into a Holocaust class, wounding four students. Anti-Semitism is thriving on college campuses, with a new progressive variety disguised as a human rights campaign on behalf of Palestinians that quickly reveals its true intentions: a boycott, divestment and sanctions movement that avowedly seeks to put an end to the Jewish state, drive Jews into the Mediterranean (what else did you think the chant “From the river to the sea” means?) or just leave them for the demographic dead in a one-state solution dominated by Arabs. Universities have become infected with anti-Semitic, anti-Zionist hostility against Jews, all under the purifying banner of “intersectionality” and its anti-colonial crusade against “white privilege.” In this setting, Jews, bizarrely, fall into the category of white oppressors who never have experienced bigotry or prejudice, and where the Holocaust is openly dismissed as “white-on-white crime” — progressive slang that means oppression against whites is of no concern to social-justice warriors. Jews aren’t granted their own mass suffering. It’s far worse than Holocaust denial; it’s Holocaust erasure. In this narrative, Israel, tarred as an apartheid, colonialist state, loses its character as a haven in the aftermath of the Holocaust — because privileged Jews don’t deserve refuge from anything! The colonial tag on Israel never seems to credit Mizrahi and Ethiopian Jews, and Arab Israelis, as evidence of its multicolored, pluralistic society. In the mind of the academy, Israel is comprised only of land thieves from Brooklyn and Brentwood alone. It’s easy to live in Los Angeles or New York City and feel insulated from all this Holocaust debunking and desecration. (Unless you happen to be an undergrad at UCLA or Columbia.) These boroughs over the Brooklyn Bridge and tony neighborhoods off Interstate 10 and the 405 — where there are plenty of seders, well-attended synagogues and a generally welcoming disposition toward Jews — are like La-La Lands of quaintly oblivious comfort when compared with far less sunny destinations where Jew-hatred and Jew-killing present a very different climate. All around the world, even throughout the United States, the grand experiment of Holocaust memory appears to have failed. Museums and memorials, although still well attended, are perceived as depressing amusement rides with statistics about mass murder, artifacts from concentration camps, and an occasional cattle car just to complete the necessary “real-feel,” “you-are-there” experience. After departing from such places of ephemeral horror, visitors emerge into the light and settle upon where to have lunch. Their confrontation with Holocaust memory lasts as long as Chinese food traveling through a digestive tract. Clearly, too few bought into all the slogans and burning candles. We had hoped piety could have lasted longer. After all, there are Holocaust survivors alive today — unless they happen to live in France, where a Jew is less likely to find an underwriter for a life insurance policy than an undertaker. With survivors still among us, how could we have forgotten and forsaken their European nightmare so soon? Elie Wiesel once told me that the survivors made a catastrophic mistake after the Holocaust. In his opinion, instead of tentatively telling their tales and subjecting their memories to the Shoah and Fortunoff foundations’ oral testimony projects, they should have said nothing. Kept quiet. Driven everyone mad with curiosity. The world would have demanded to know what went on in those camps, killing fields, death marches and forced starvations, and the survivors would have replied with utter silence. Instead the survivors, along with everyone else, said too much, and now there may be nothing left to say. With anti-Semitism and contempt for the Holocaust ascending from alt-right rallies and the progressive left on college campuses, along with Islamist calls for “death to Jews” and “wiping Israel from the map,” this is not a good time to take our eyes off the Holocaust, to become more complacent about its remembrance, and to delude ourselves into magical thinking that having a Jewish son-in-law in the West Wing is some kind of panacea to the world’s oldest prejudice. Jews are clearly at a new phase for Holocaust memory. From the destruction of the Temples, the Spanish Inquisition, pogroms in the Pale of Settlement and murderous mayhem everywhere else, all capped by the Holocaust, welcome to its latest iteration: Call it Jew-hatred 4.0. What did we think was going to happen? As long as there is anti-Semitism in the world, there will always be something to say about the Holocaust. They are symbiotic and co-dependent. The only thing that could ever make the Holocaust disappear is the end of anti-Semitism itself. As Daniel Jonah Goldhagen observed in his book, “The Devil That Never Dies: The Rise and Threat of Global Anti-Semitism,” the Holocaust did not put an end to anti-Semitism in Europe. It just ushered in a period of dormancy from which anti-Semitism is always ready to reappear in familiar and unexpected ways. The Holocaust was always a moral mystery. Unfathomability always has been its greatest allure. The mystery was never meant to be solved. The crimes of the Nazis consigned everyone — Jew and non-Jew — to a perpetual state of obligation. “Never Again” didn’t just mean that Jewish genocide would never be permitted to reoccur. It also meant that the world would never be finished with the Holocaust; it would always continue to haunt. The burden to remember the Holocaust, to hold it in mind and body as both emblem and amulet, is infinite and never ending. That’s what “never” really means, and that’s why there will always be something left to say. Thane Rosenbaum, a novelist, essayist and law professor, is the author of the post-Holocaust trilogy “The Golems of Gotham,” “Second Hand Smoke” and “Elijah Visible,” among other titles of fiction and nonfiction. Tamar Andrews, director of Temple Isaiah preschool, is an early childhood education professor, providing training and consultation to early childhood programs in the United States and abroad. The above article is a classic in many regards but proves one thing perfectly; the holocaust is as alive today as it was in 1943. This is what I mean. On this site, this forum we mainly talk about what happened and how and where and the myths of the holocaust as it was in process back in the war period. But the holocaust is used by jews around the world to this day, as often as possible to gain an advantage, a free ride, your free money. israel always uses the six million myth whenever it can to justify what it is and does. The claims of 'anti-semitism' which are very loud at the moment and resonate throughout the above article are inevitably and very quickly followed by 'Muh holocaust'. It's as though the holocaust is the very backbone of judaism, israel and all the problems that are generated because of them. You will notice that they claim their lives will never be perfect until anti-semitism is totally eradicated or perhaps I should say entfernt. It is quite clear to me that without the holocaust the jews of the world would by now be almost forgotten and irrelevant. The holocaust gave them a reason to be one again and enough clout, money and world empathy to enable their jewish state to develop. But it is also quite clear that jews love being hated, they positively adore anti-semitism, because it allows them free reign to do stuff. So was the holocaust real or fake? Fake. Do the jews care that it is fake, for make no mistake, the majority know it is a lie? No. Because the holocaust is their lifeblood, their raison d'etre. Without it they would be a statistical anomaly, a bunch of dead sea pedestrians lost in the sands of time claiming persecution from millennia back. The holocaust is the blood in their veins. That the holocaust story and myths are crumbling should make for interesting times in the months ahead. How it falls out for israel and the jews once the truth is universally accepted is anyone's guess, but as always the jews fail to see the truth even when it bites them on the bum, because they don't do introspection and reality. I read the Rosenbaum article and I found it a classic Jewish victim peace. One of the stories I read about the mural was a Jewish organisation complaining it showed Holocaust victims being oppressed and the fat cats sitting round the table looked Jewish. I looked at the mural wondering why if the people under the table were holocaust victims why would they not be wearing stripped work suites. A good illustration of victim mentality to advance your cause was what came to mind. I wonder what would happen if Rosenbaum was asked about the Holodomor and the Jewish involvement in that event. To me the holocaust myth is only going to fall apart completely when there is a final court case in some country where both sides can bring their evidence and the issue can be debated and put before an impartial jury. The Zundel trial was a great start but that was only a trial over denial not how and where did the alleged gassing take place camp by camp. I came round to the idea that the gassings were a lie when I read all the CODOH books , but I am a ex-scientist so I can look at the scientific evidence and see it's truth rationally argued out , how many people can that apply to. To me it's science vs myth.